A historic county in South East England with a coastline along the English Channel, Sussex is nowadays divided into East Sussex and West Sussex. More than 1.6 million people live across the region as a whole, which has a wide range of housing to suit all kinds of tastes and budgets. At My Home Move Conveyancing we’ve been developing our knowledge of markets like the one in Sussex since 2001, allowing us to bring a specialist, fixed fee conveyancing service to our clients in the area. If you want to buy or sell property in Sussex, you’ll have to instruct property lawyers to complete the legal work for you. 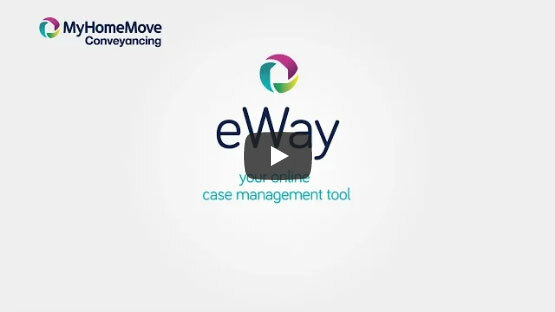 At My Home Move Conveyancing we’ve revolutionised the customer experience by combining our robust systems with unrivalled experience and passionate customer service. Choose us as your Sussex conveyancers and take advantage of our award winning, market-leading service. For complete peace of mind, we offer a ‘no completion – no fee’ policy, so if you don’t end up moving for some reason, you won’t have to pay us a penny in legal fees. We assign a dedicated conveyancer to each of our clients, who’ll look after your case from start to finish. You’ll have regular updates on your progress, as well as online access to your account. At My Home Move Conveyancing, we adopt an energetic, positive approach to everything we do, and take pride in getting things right first time round. We’re pleased to provide our conveyancing services in Sussex to homebuyers across region, whether you’re looking to be in a seaside town like Brighton, Eastbourne or Worthing, or in an inland spot such as Crawley or Horsham. During the past year the overall average price of properties sold in Sussex was £339,025, with flats involved in the most sales at an average of £215,129. Detached houses went for £503,953 with terraced properties fetching £311,913. Sussex derives its name from the Old English words to describe the South Saxons, a Germanic tribe that occupied the region in the fifth and sixth centuries. It’s little wonder this part of England proved such a popular place to live, with its rolling green countryside and coastal scenery which includes the chalk hills of the South Downs. The county was split into two in 1974, giving way to East and West Sussex, although the term Sussex is still widely used to describe the area as a whole. There are generally good transport links across Sussex, whether you’re catching the train to London from Brighton, or travelling along the coast between places like Eastbourne and Worthing. The M23 is the only motorway in the region, which heads north towards the M25 ring road and London. When it’s time to go on holiday, Gatwick Airport is in the northeastern reaches of West Sussex. For families with children, there’s a huge number of schools across Sussex, which operates a two-tier education system. The local education authorities that look after the region are the East and West Sussex County Councils, and Brighton and Hove City Council. Notable schools include the Prebendal School which can point to over 900 years’ worth of history, while the University of Sussex, the University of Brighton and the University of Chichester are among the options for higher education.